Confession: If I rode a horse like a drove a car I’d be an eventer. I’ve been referred to as an aggressive yet defensive driver. What does that mean? Well, it means I can drive in New York City like a taxi, and expect others to cut me off at any minute. So why am I comfortable there but on the back of a horse I question my every decision. Are my shoulders too far forward? Am I properly balanced in my seat? Are people watching me, judging me? Notice, I never question my horse. In fact, any of the horses I ride. I always question myself. Always. I drive with purpose, comfort, and knowledge that I can likely overcome any obstacle on the road. And yet, a few weeks ago there was a big snowstorm as I drove home from a massage appointment. The snow fell quickly and heavily. By the time I reached the onramp to the interstate, it was slick and deep. I slowly eased on to the road but my 4WD could not grip and I found myself losing control, bouncing off the onramp divider like a pinball. As it is with horses, things moved quickly. The bounce likely saved my life or I would have found my car drifting across three lanes of highway traffic involving semi trucks. Instead, my instincts and the bounce meant that I tapped the brakes and when they wouldn’t work, threw my transition into park, stomped on the emergency brake and attempted to ride up the shoulder until I finally slid to a stop. Immediately I checked my rear view for oncoming traffic, turned the car off, and exited the vehicle to check for damage. Imagine my surprise when there was none. Equestrians have razor-sharp instincts they have honed over years of spooks, shies, and bucks at some unexpected time. I’m convinced that my quick instincts prevented me from causing a multi-car collision on the highway. With shaking hands and nerves of steel, I got back in that car and drove home with my hazards on in the slow lane, another 45 minutes. My tension was through the roof but I was proud of myself for not giving in and calling someone to pick me up on the side of the road. My car was fine, I was fine, and yet I white-knuckled it through. The next day, it was like it never happened and I drove without incident. When it snowed a week later I was nervous but drove carefully. Why can’t I do the same with horses? I know my instincts are both natural and quick. And yet somehow I am always expecting that slide…that accident to happen even when it isn’t “snowing”. I drive fearlessly, knowing that I can handle any situation that comes my way. Is it too much to ask that I have the same with horses? I love this, Heather. Funny, I still think of posture from my riding days! I’m a tad in reverse, while I love to drive and have/do in all sorts of weather, but after a bad, bad accident involving sleet, a mountain road, and a 350′ embankment, I I think I was a far more fearless rider than driver. Or it could be age. 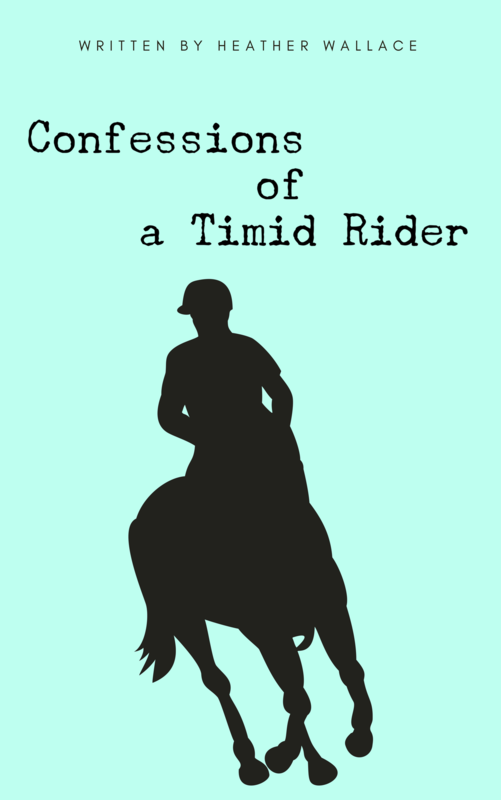 I am now (gulp) over twice the age I last rode, so now I think of things that could pop up (like that accident), where when I was younger, I never gave that a thought, hence, the fearlessness! I could use a dose of that as I get golden! Stay Golden Dorothy! I think it is normal for us all to lose some of the fearlessness as we grow in age and wisdom. Suddenly we realize things can actually hurt! I can’t imagine how scary it would be to be in that mountain accident. OMG! Thank goodness you are okay.